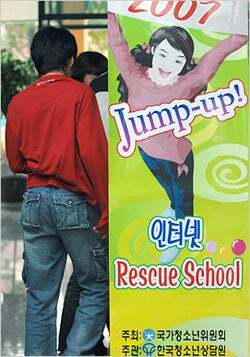 South Korea's Jump Up Internet Rescue School is the first of its kind, providing rehabilitation to those who cannot escape from the confines of the great interweb. Fittingly, South Korea is the world's foremost internet connected nation, with over 90% of homes having access to cheap, high speed broadband. Worryingly, this has been the reason for the establishment of a rehabilitation center for those who are addicted; the ready availability of the internet means users have grown seriously dependent on the World Wide Web's offerings. As nations extend the reach of the internet throughout their own countries, South Korea's situation may serve as a warning beacon in light of further expansion. Some may deduce that preventative measures need to be implemented, prior to expansion, to avoid internet addiction becoming a global issue. The notion of a rehabilitation center of this kind certainly seems comical initially, but beyond its novelty value, concern surrounding addiction continues to grow. Indeed, the US (and other countries) have stipulated compulsive internet use as a tangible mental health issue.